Expressions of compassion of European people towards the victims of terrorist attacks on French satirical magazine Charlie Hebdo are omnipresent. The sentiment is almost palpable. It is only natural for Kali Tribune to join the choir, albeit on a slightly dissonant note. Charlie suffers from strange disease. Out of compassion, he assumed the identity he can't shake off. 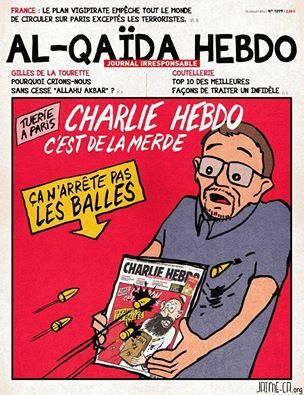 To make matters worse, it is an identity of French satirical magazine. What to do? Kali Durga to the rescue!